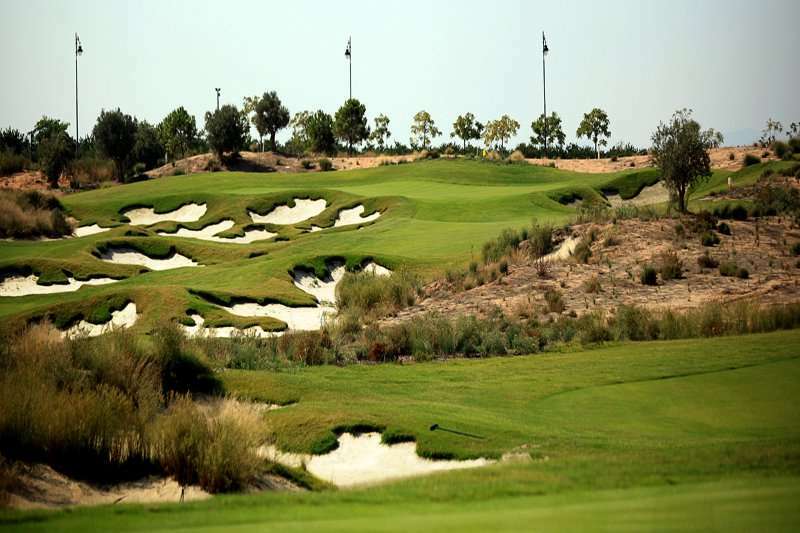 The Hacienda Riquelme golf course was opened in 2008 as part of the Nicklaus Golf Trail in the Murcia region. 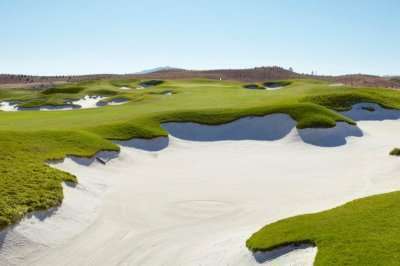 The golf course is just 6,990 yards long from the back tees however that is not to say that it does not provide an unforgettable round of golf. 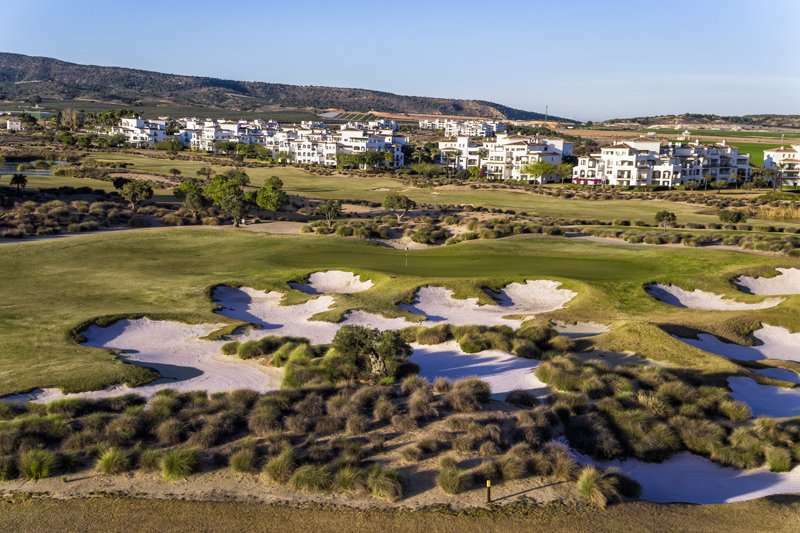 Not unlike any of the other Jack Nicklaus golf courses, the Hacienda Riquelme is a fantastic golf course throughout and is certainly an essential component of your next golf break in Murcia. 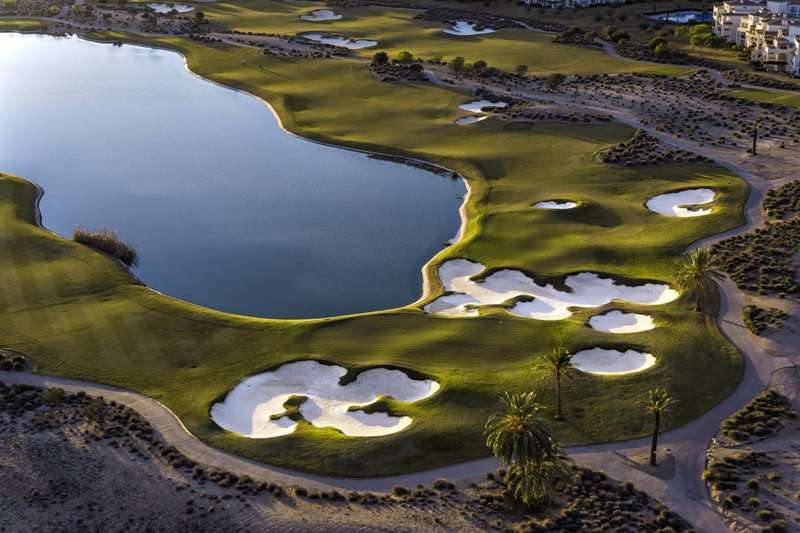 This 18 hole par 71 golf course is nestled in the heart of a beautiful desert valley in the Murcia region in the south of Spain. 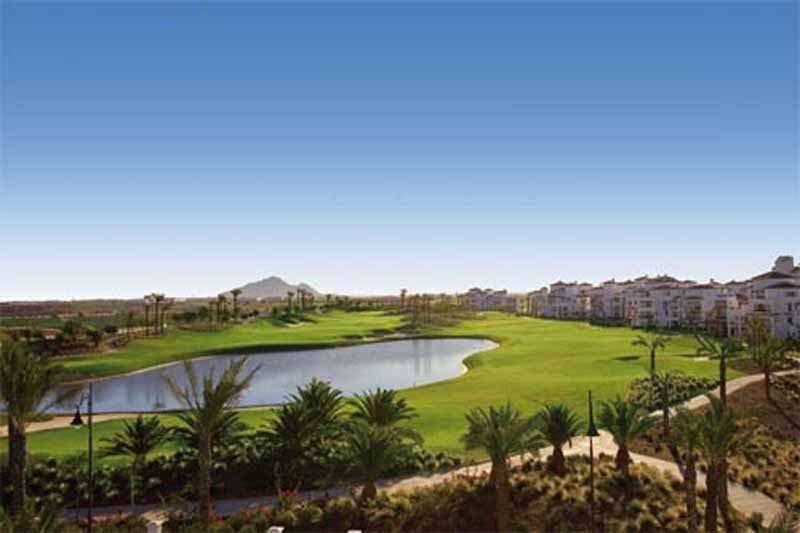 Set in such an idyllic landscape, golfers here can enjoy a truly tranquil round of golf. 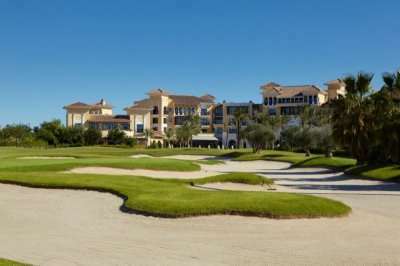 The Hacienda Riquelme is perfectly located for all golfers in the region as it is just a twenty-minute drive away from Murcia airport or just over an hour away from Alicante. 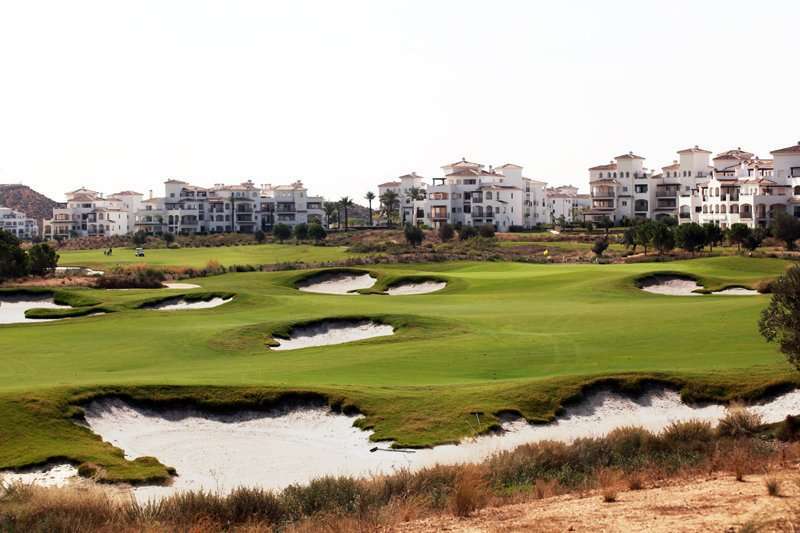 The natural landscape of the Hacienda Riquelme has been perfectly preserved throughout the golf courses construction and most of the natural features have been intricately incorporated to create the fantastic golf course that stands today. 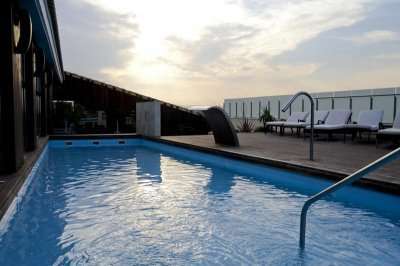 The golf course is routed in a format that groups several holes together that share a similar design and characteristics, while keeping the surrounding residential development on the perimeter to retain the tranquil ambience. This means that many of the holes border other golf holes and not houses, creating a more open and natural golf experience whilst maintaining a level of privacy for golfers. #HalfPriceGolfClubCarriage – Don’t forget to mention this promotion when enquiring to ensure you take advantage of this great offer. 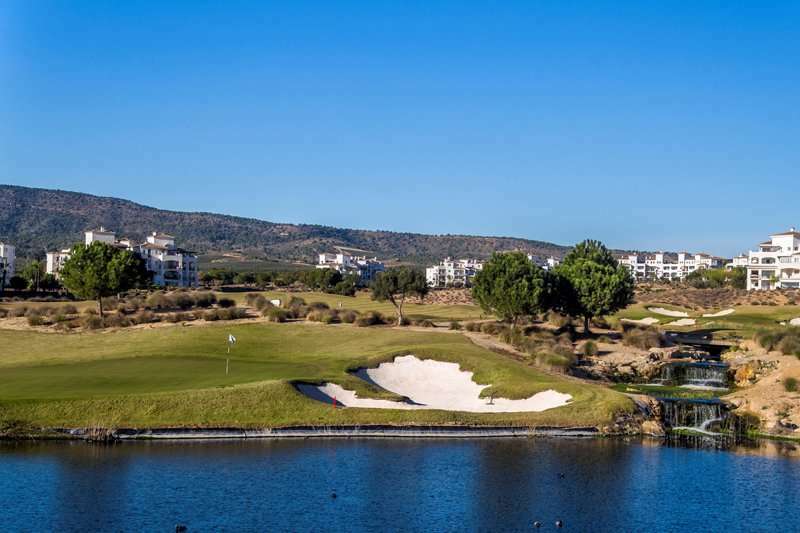 The course has a total length of 6990 yards from the back tees, so although it is not the longest of courses in the area, golfers will be required to think their way around this challenging course in order to score well. Despite the golf course being short, the wide fairways and open greens compensate for this. Golfers should not be lured into a false sense of security with the open fairways as there are still plenty of challenges throughout. 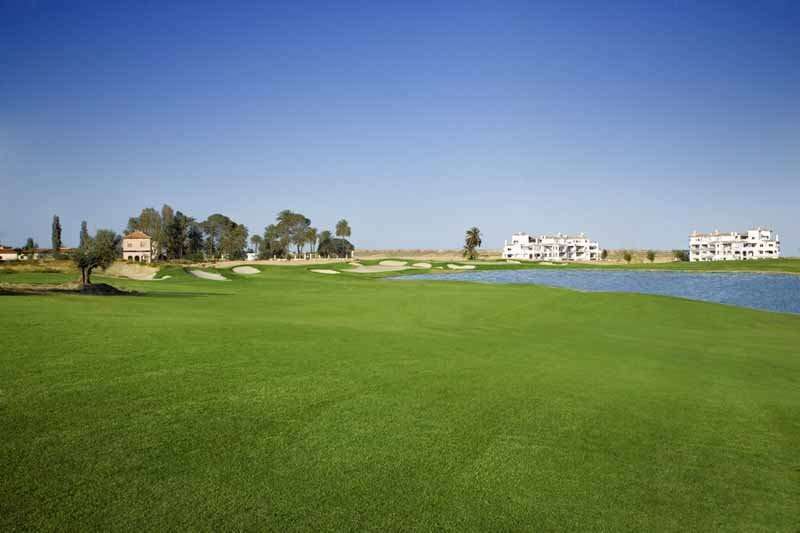 The Hacienda Riquelme has adopted all of the natural landscape’s features, so the golf course winds in and out of olive groves, wildflower meadows and huge lakes. With wide fairways, players have plenty of space to maneuverer their shots through the natural hazards. 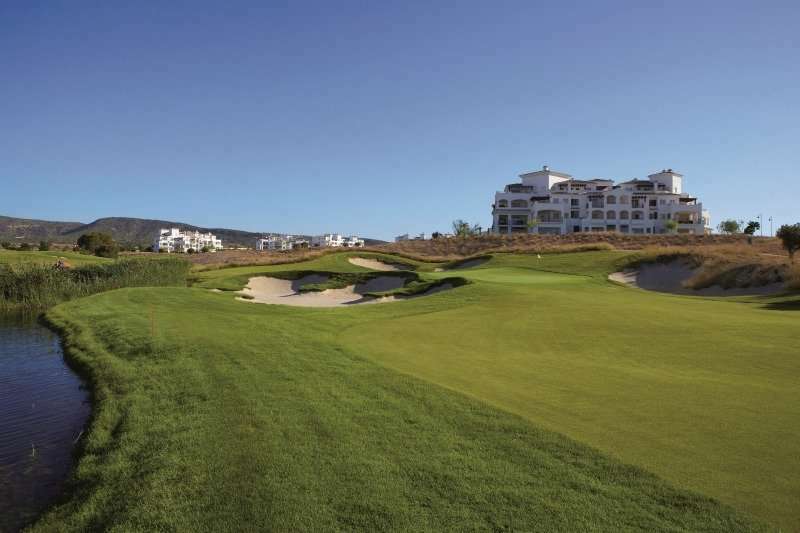 The entire golf course is characterised by its strongly contoured greens divided into sections by dramatic elevation changes and several random elevation changes, making putting the main challenge.